In the spirit of #everydaymadewell, we’re exploring how a few girls you need to know spend their days. Every day feels like a vacation for travel writer Christina Pérez, which may sound like the opening line of a screenplay until you discover that, well, it’s pretty much the truth. Born in Wisconsin, she developed a fascination for exploring the rest of the world and turned it into a career. 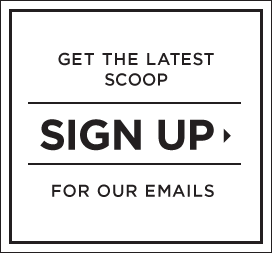 Writing for Refinery29, Condé Nast Traveler and her just-launched travel site Inside Elsewhere (a project she works on with her husband) leads her to unexpected spots and contributes to her perpetual wanderlust. That, coupled with her sense of style honed during stints at Glamour and Lucky magazines, makes her a pretty perfect person to travel (and share a suitcase) with. We spent an afternoon with her in one of her favorite spots—upstate New York—while she explained more about her typically atypical days. I’m sort of addicted to the feeling of being somewhere new. I recently moved to Greenpoint, a neighborhood in Brooklyn, so every day feels a little like a vacation. I find something new every day just by riding my bike. Lately, I’ve been fascinated with the concept of “vagabonding”—the sense of discovery that comes with removing yourself from your “normal” life. I always joke that my favorite places are the ones I haven’t been yet. You can drive an hour outside of New York and be someplace that feels like magic. Getting out of town early on weekend mornings feels like you’re getting away with something. I’ve spent a lot of lovely weekends near Palenville, staying at a tiny and very rustic 20-by-20-foot cabin. I used to wear lots of florals and skirts and heels, but my style has become more minimalist, with hippie tendencies. I never have the “perfect outfit,” but I wear what makes me feel good and what I think is beautiful. Traveling to a new place can change your whole perspective. At the beach, I wear more embroidery. In the country, I wear more plaids and flannels. Crumbling my napkins up. Is that quirky? Exercise. A really tough workout is meditative. Maybe that’s why I love surfing. Plus, the ocean is always therapeutic, isn’t it? Read. I really like short stories. Right now, I’m rereading my dad’s college copy of Salinger’s Nine Stories. I love his old books. They make me feel closer to home. 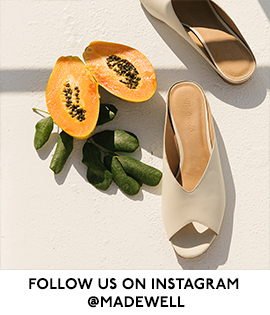 Shop Christina’s fall picks here and meet more of our friends here. P.S. Now we want to see your stories—and we’re having a little contest to get you psyched to share. Enter for a chance to win a closet full of Madewell, a new bike and a year’s supply of our favorite things. Show us how Madewell fits into your days with #everydaymadewell #contest to be entered to win, and see some of our current favorite snaps here. 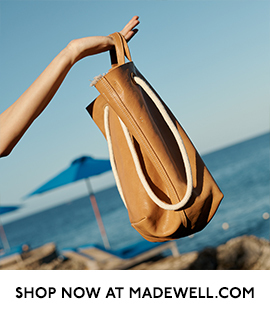 This entry was posted in madewell and tagged everydaymadewell, fashion, madewell, style. Bookmark the permalink.